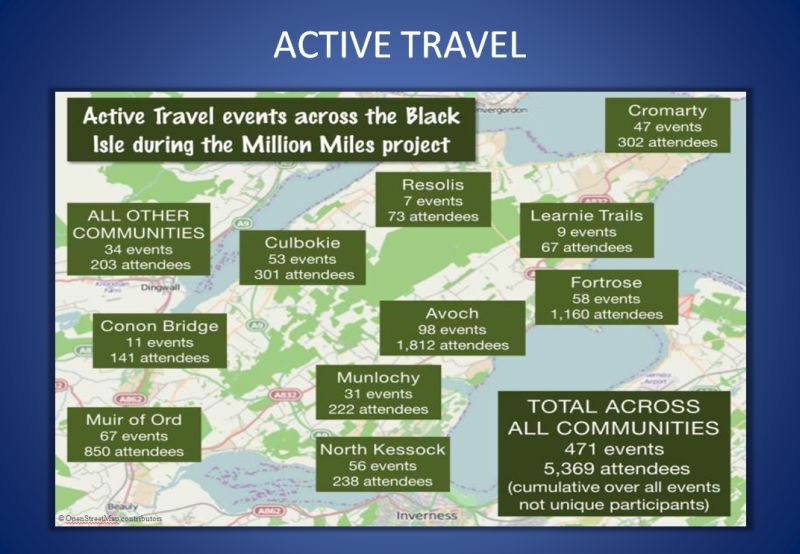 The Million Miles project, Black Isle, Scotland. 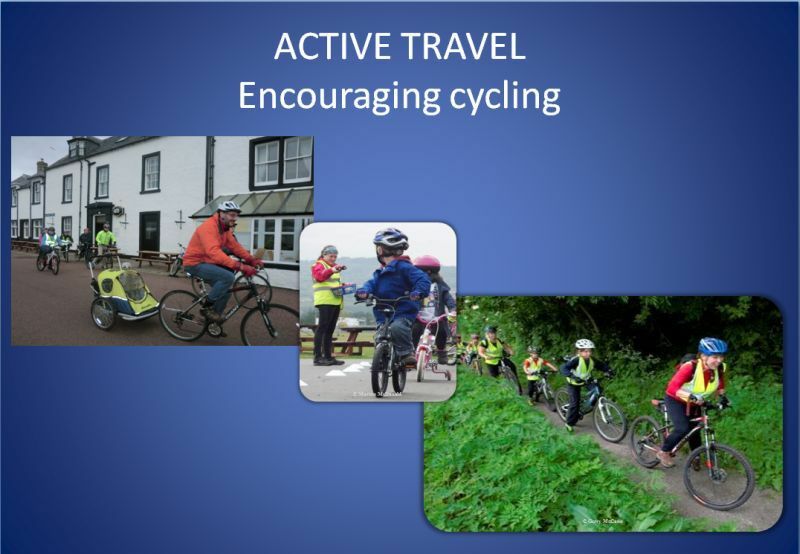 1) Active travel (walking and cycling), 2) Greener car travel and 3) Public transport. 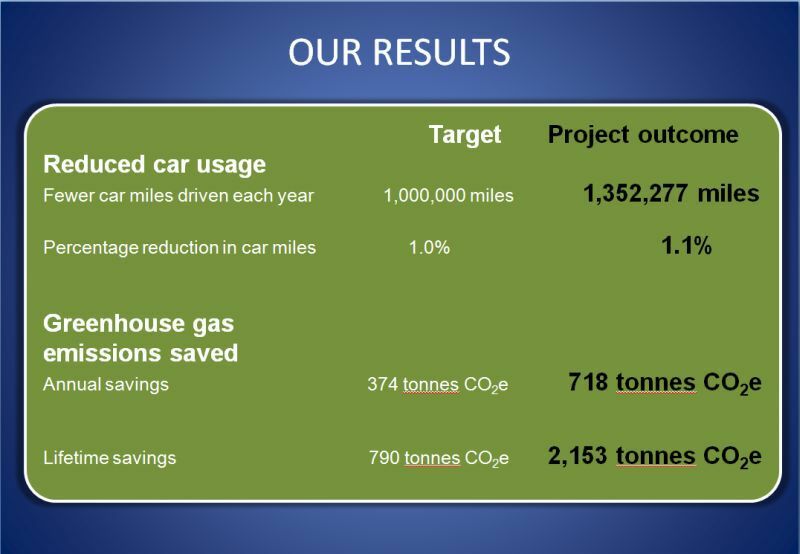 The results were amazing, proving that communities are the best place for real deep change to come from (see the ‘Message to COP21’ at the end of this post). 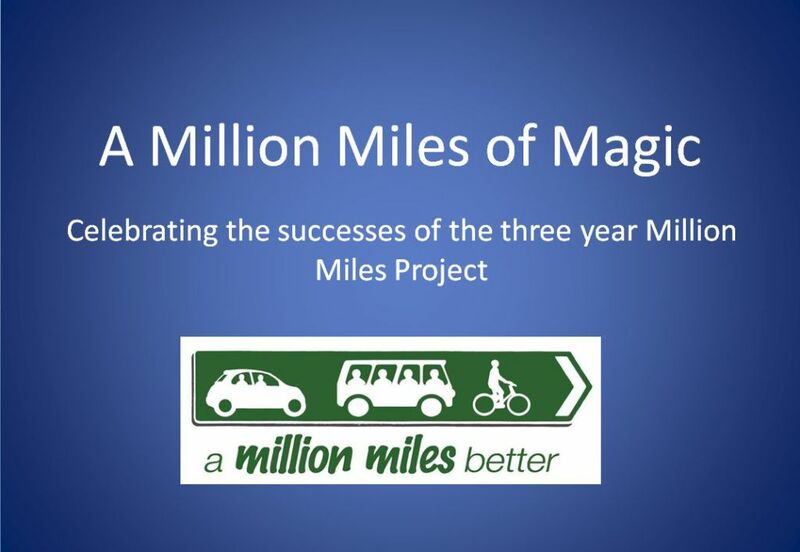 By the end of the scheme’s 3 years, it had led to a reduction of 1,352,277 miles (that’s the equivalent of driving to the Moon and back two and a half times), saving 718 tonnes of carbon a year, but it achieved much more besides. 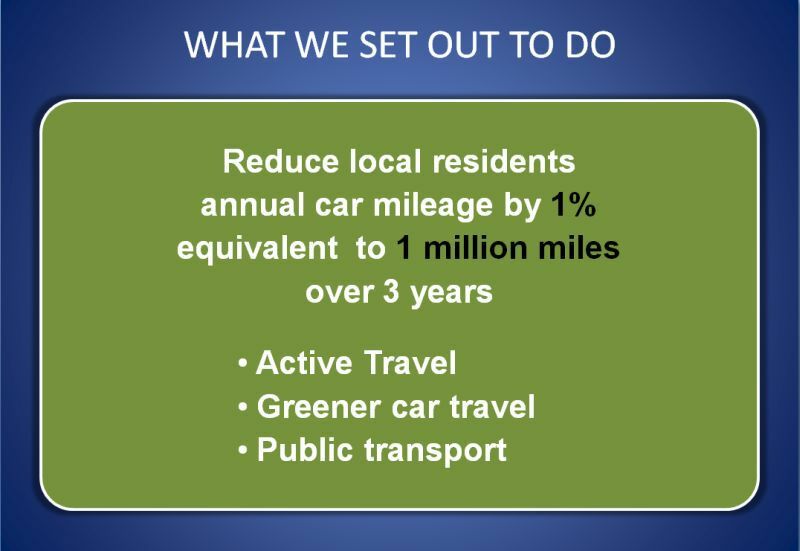 Lift Share scheme now has 726 members, 23% of people now lift share more. 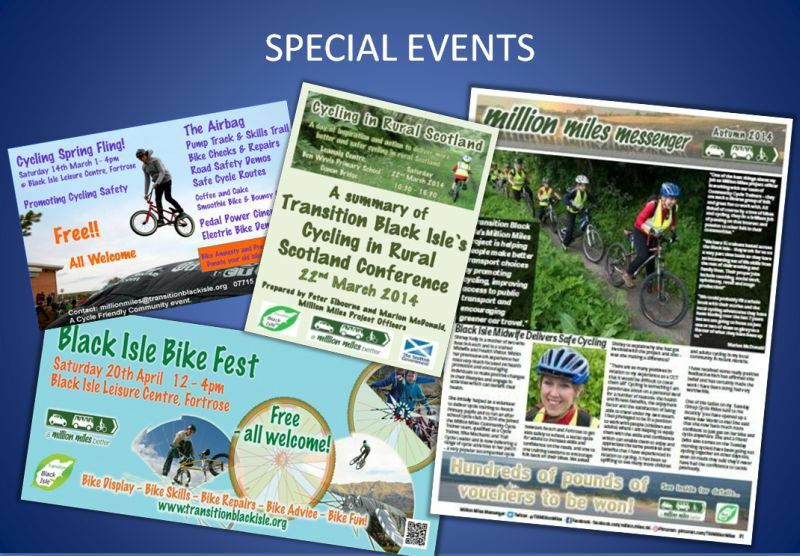 Local groups are best placed to devise and run campaigns to change behaviour, cut carbon emissions and create community cohesion. 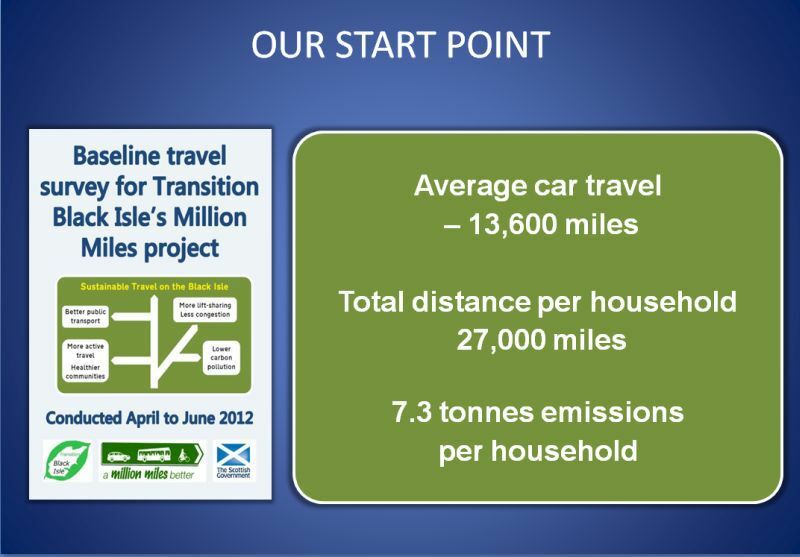 To do this most effectively they need improved national and regional transport policies.